Botanical Source : Sesamum indicum DC. 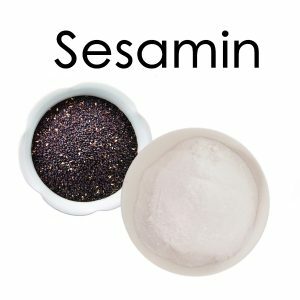 Sesamin is the most prominent lignan compound found in sesame seeds, one of the two highest sources of lignans in the human diet (the other being flax). Sesamin is catered to be a nutritional supplement that confers antioxidant and antiinflammatory effects (if touting its health properties) or possibly being an estrogen receptor modulator and fat burner (if targeting atheltes or persons wishing to lose weight). 5. 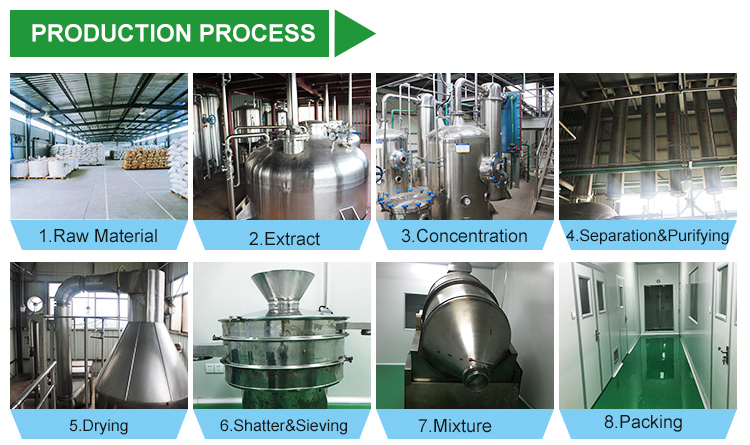 It also has function of anti-inflammatory.Sesamin has effect on antiviral, fungicides, antioxidants, insecticide synergist. 6. It can also be used to the treatment of bronchitis. 7. It has the function of inhibition the influenza virus, Sendai virus and Mycobacterium tuberculosis. Sesamin is SAFE when taken by mouth in amounts commonly found in food. 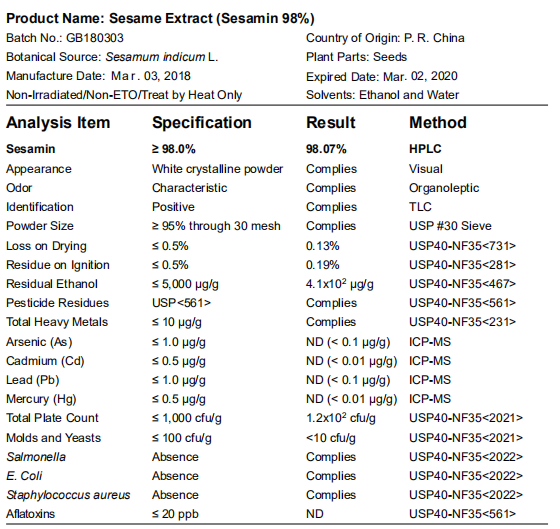 There are limited human studies on sesamin, but it appears that oral ingestion of around 100-150mg of sesamin is sufficient to raise bodily sesamin stores to the level where it can preserve Vitamin E in the body; this indirect antioxidative effect may be the most practical reason to supplement sesamin. What is the Best Dihydromyricetin Dose?